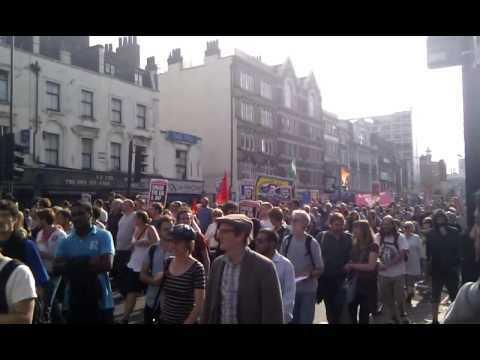 Thousands of antifascists, trade unionists and members of the local community marched in victory through Whitechapel after the English Defence League failed in its bid to demonstrate in Tower Hamlets. 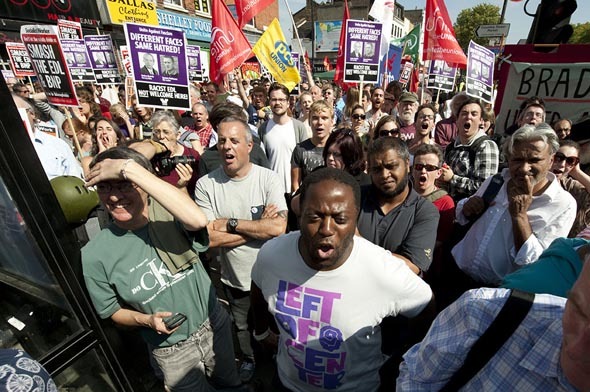 Only around 600 members of EDL made it to their final rally point – at Aldgate, outside the Tower Hamlets borough boundary on 3 September. Here are pics and video of the day.